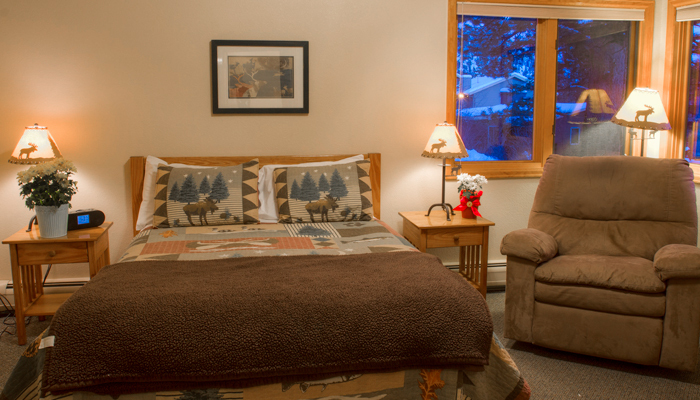 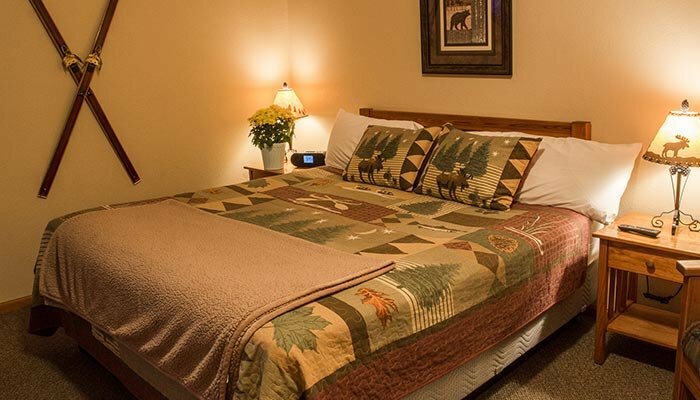 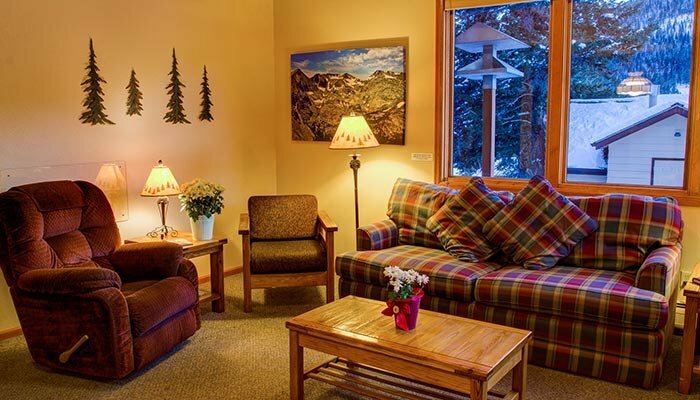 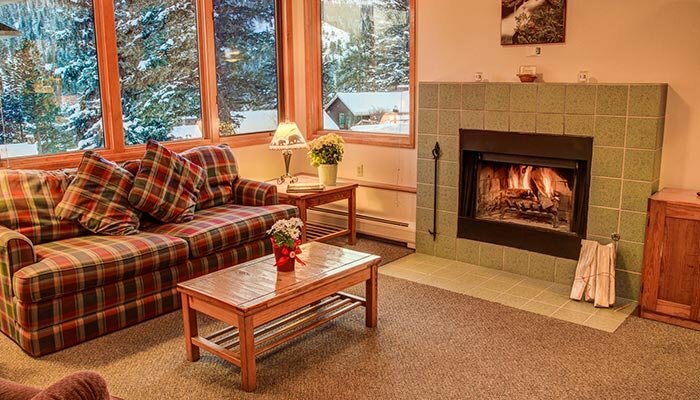 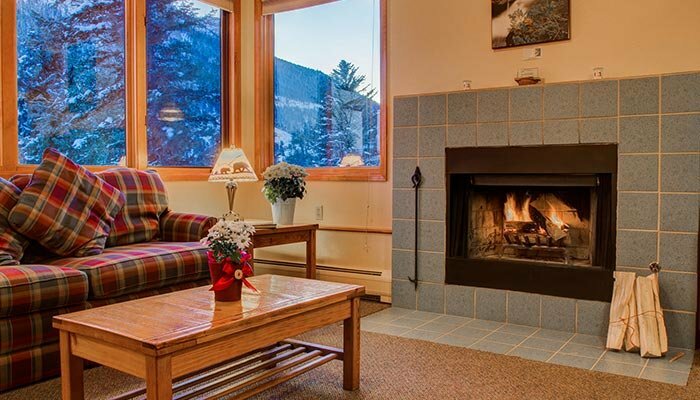 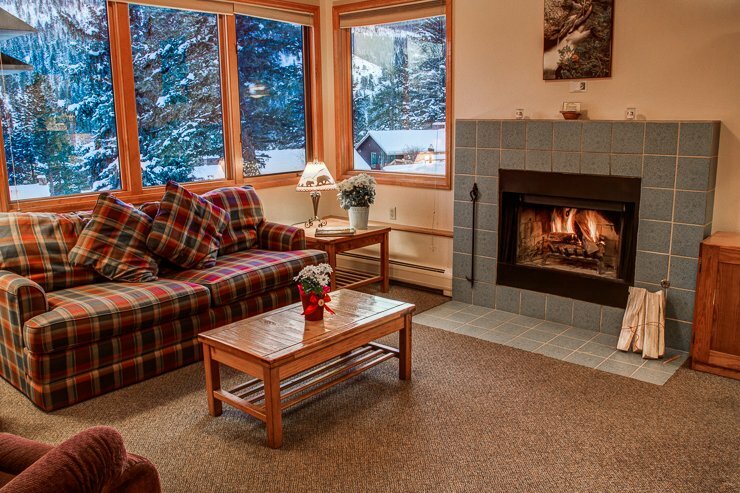 To view availability calendar for our Cedar Lodge Suites (one bedroom suite), click here. 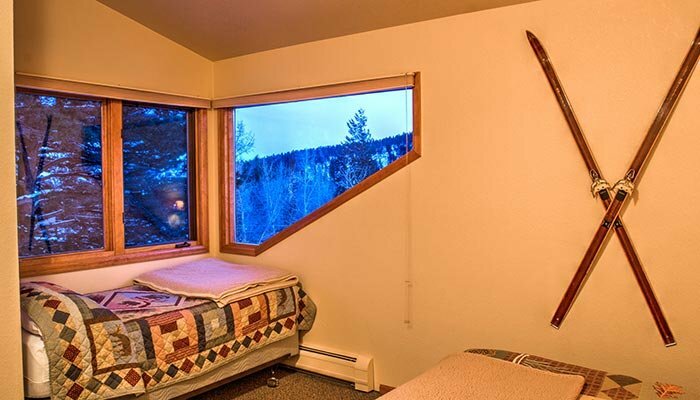 These spacious, one-bedroom suites feature spectacular views from large picture windows. 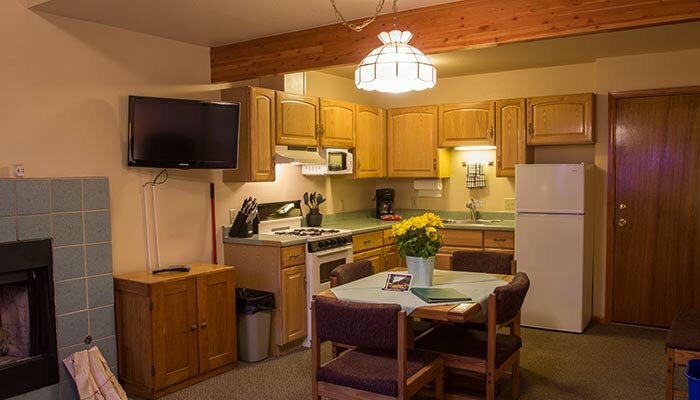 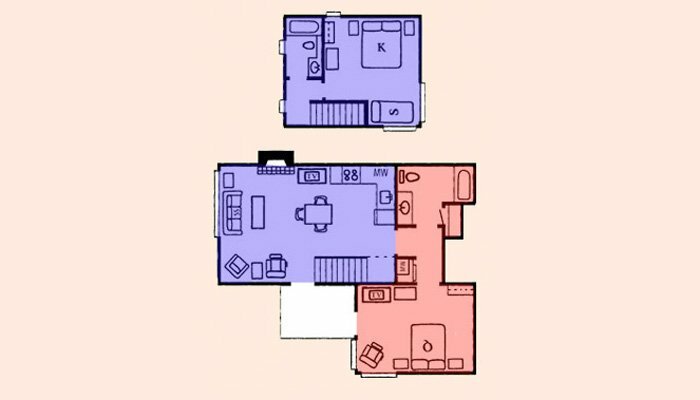 The first floor living area has a vaulted ceiling, wood-burning fireplace, warm wood paneling and fully-equipped kitchen with microwave. 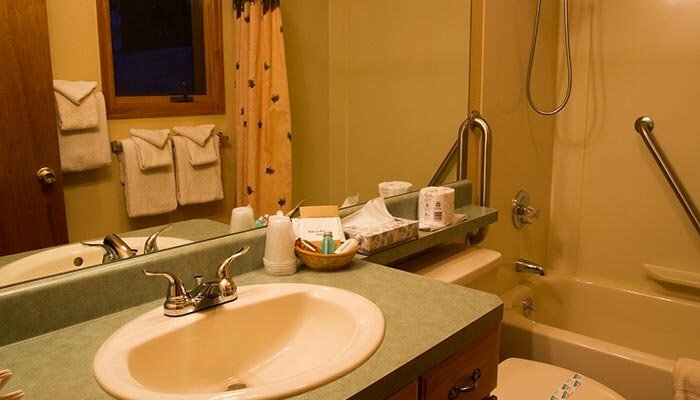 Upstairs is a bedroom with vaulted ceiling and a full bath. 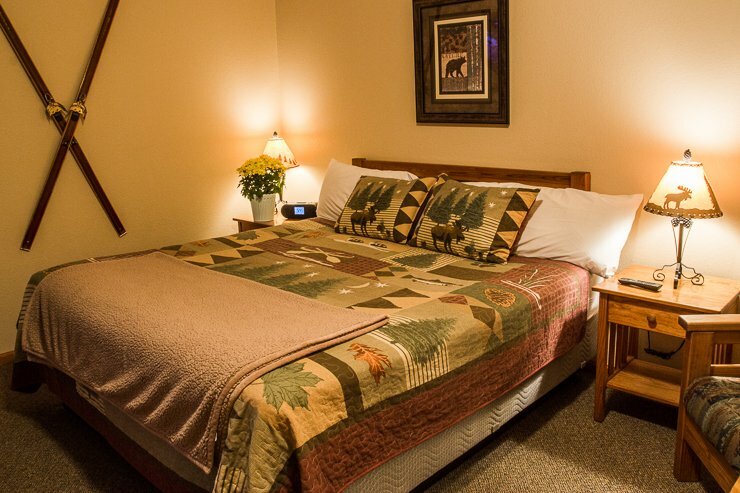 The two beds upstairs and the sofa sleeper in the living room accommodate five.